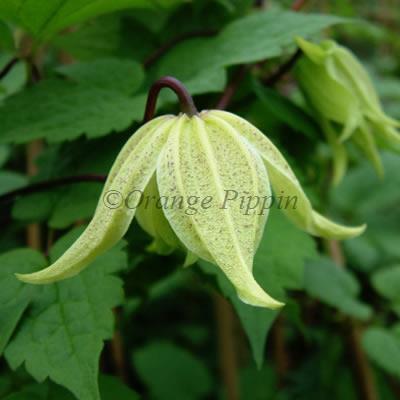 Small, pale cream nodding flowers with the tiniest hint of purple speckles on the outside of the petals are produced on Clematis koreana 'Simplicity' during the spring. Clematis koreana 'Simplicity' was raised by Vince and Sylvia Denny of England in 1999. It was originally known as 'Denny's koreana Number 2'.